A new driveway installation completed at the Dunes in Portmarnock in Dublin. Replaced existing concrete driveway. Extended out the driveway and created a low maintenance gravel section instead of a lawn area. Raised block kerb at the front to retain the gravel. Silver granite border around the driveway. New recessed inspection chamber to blend in with driveway. Built a small step at entrance to house. 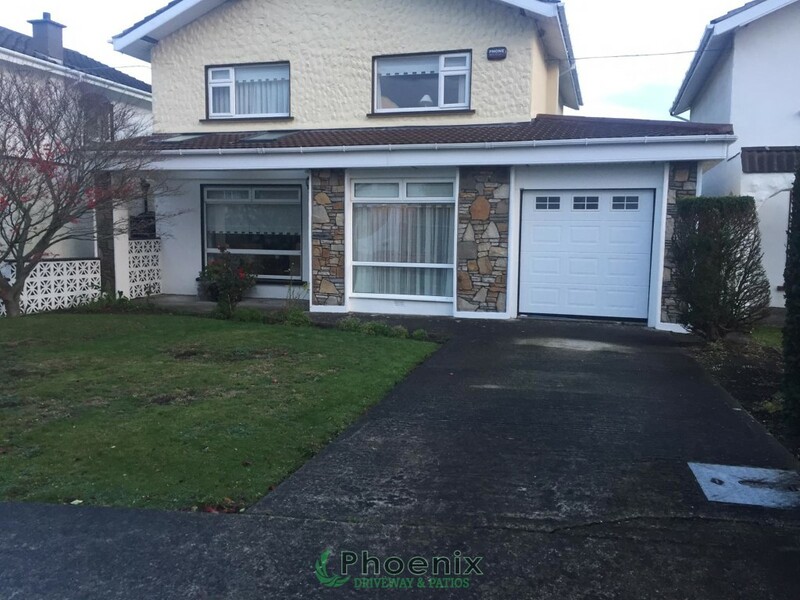 Call Phoenix Driveways in Dublin today for a free no obligation quote on installing, replacing or building a new driveway or patio at your home in Dublin. 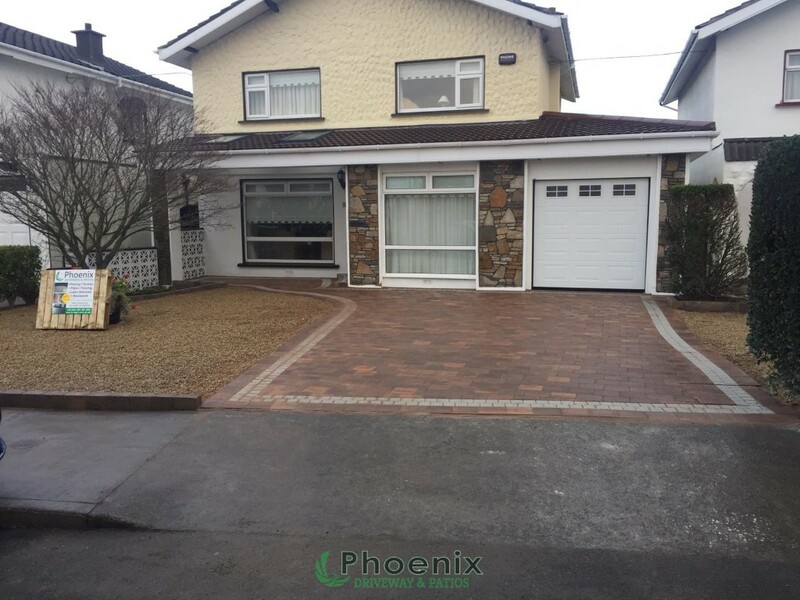 We offer quality workmanship from a genuine Dublin paving specialist who has been working in Dublin for over 20 years. When you get a driveway built by Phoenix Driveways, it is built to last.